It has been quite a good autumn for the larger fungi, a combination, perhaps, of relative warmth and frequent rain (although conditions earlier in the year are also important). 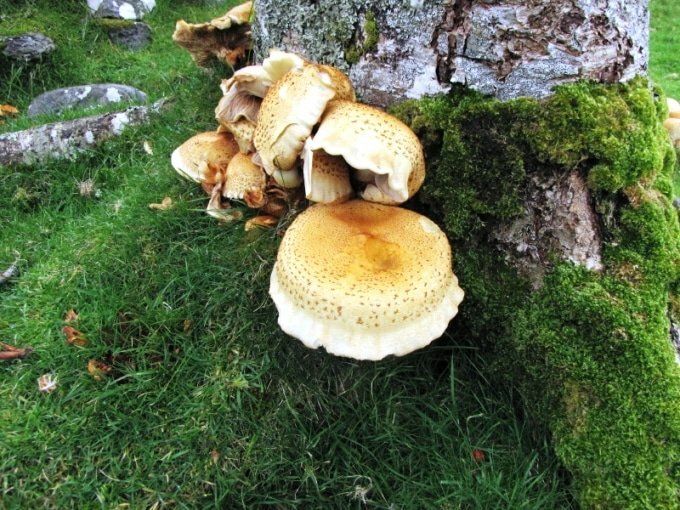 We came across these particularly splendid examples on 10th October 2017, clustered around the foot of a large rowan on the sea-front at Inverkirkaig (NC078196). 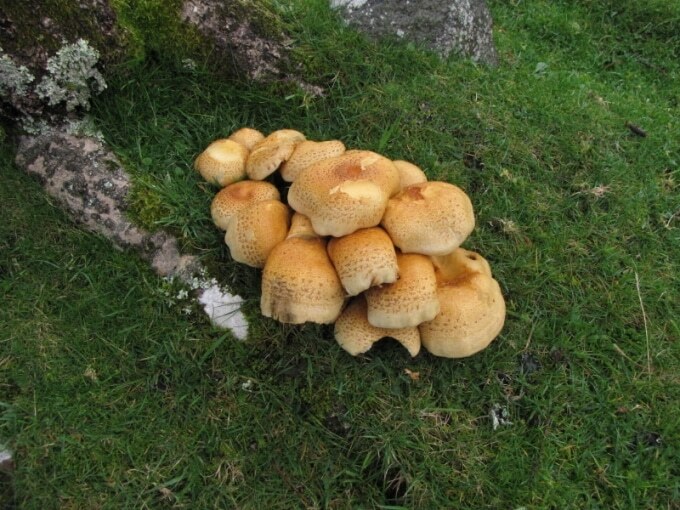 The combination of dense tufts, size (up to 12cm diameter) and straw-yellow caps covered with coarse red-brown upturned scales allowed us to name them, with some confidence, as the Shaggy Scalycap Pholiota squarrosa. The species is described as a partial parasite, which does not bode well, in the long term, for its rowan host, and as widespread in the British Isles. However, the late John Blunt’s records (which may be accessed through the AFC web-site) include only three for this species, with just one from Assynt, on rowan at Nedd (NC1331) on 12th November 2002. So, it is well worth keeping an eye open for this distinctive gill fungus, taking a photograph (almost always essential) and reporting it to the Field Club.